The scent of truffles was heavy in the air. It is a pungent smell, slightly reminiscent of sweaty locker rooms, an aroma that is far less pleasant than the subtle earthy flavour of these prized delicacies. And while the white truffle might usually be something of a rarity, here they were in abundance. I was at the first of this year’s National White Truffle Fairs in the charming village of Sant’Agata Feltria in the Emilia Romagna region of Italy. Every Sunday in October the usually quiet village is filled with people celebrating the holy grail of gastronomy – the white truffle. 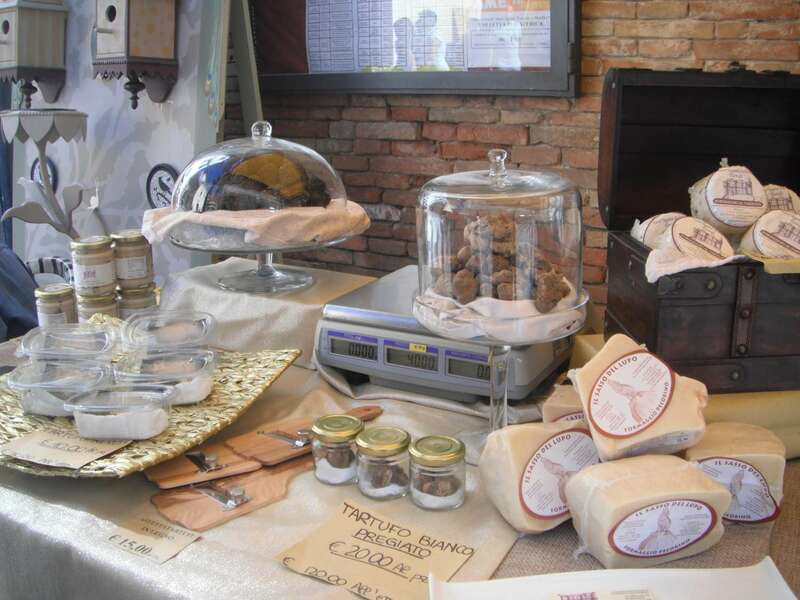 Stalls line the quaint piazza and cobbled streets selling all manner of artisan delights showcasing the truffle. Not only are the raw products on offer, there are truffle pastes, pastas and purees. You can buy truffle oil, truffle salt and even truffle grappa. There is cheese laced with truffles, and truffled meat. There is a huge tent, seating up to 600 people, where four restaurants are dishing up all kinds of truffle themed dishes, from truffle carpaccio to soft, butter-laced truffle tagliatelle for 8 Euro (around $11). It truly is a celebration of the white truffle. The white truffle is almost exclusively found in Italy, and unlike its black counterpart cannot be cultivated, and it is this which makes it so highly prized – and consequently so expensive. In fact, the white truffle is so desirable that in some areas there have been reports of truffle hunters seeing off the competition by poisoning rival dogs, although thankfully this has remained a relatively rare occurrence. This year the white truffle is demanding a particularly high price. It is not clear exactly why the truffles choose to grow where they do – which is why finding them is such an art – but what is known is that in order to thrive they need rain. And this year’s unusually dry summer means that the truffles are even rarer than usual. The truffle season begins on October 1, but only runs until December 1 so there is only a small window in which to enjoy these diamonds of the earth at their very freshest. But there are plenty of reasons to visit Emilia Romagna even out of truffle season. 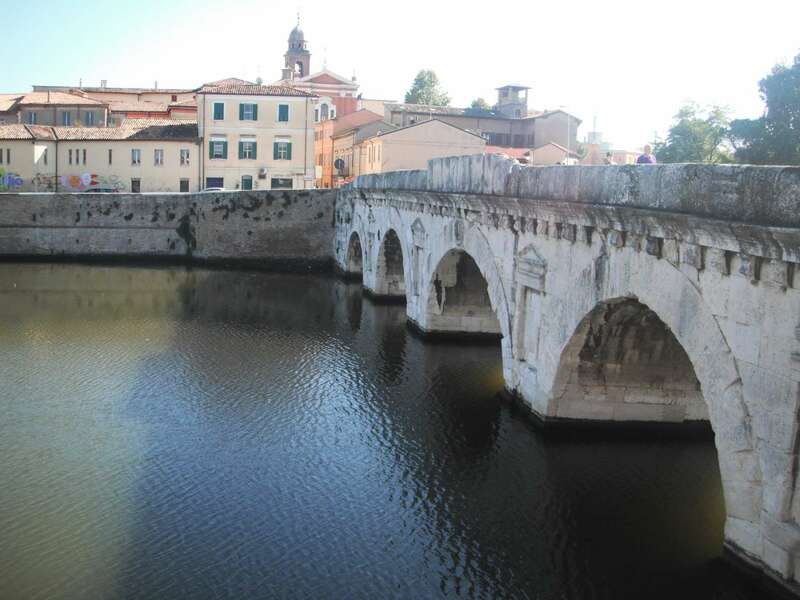 From picturesque villages and vineyards nestled in the hillside, to Rimini’s glorious beaches and historic old town. there are endless discoveries to be made.One of my favourite discoveries was the small town of Verucchio. It boasts a magnificent position, perched on rocky spurs, with stunning views over the Marecchia Valley and to the sea. To enjoy the views at their best take a walk up narrow cobbled streets to the Malatesta Fortress. Back in the town square there is a small selection of artisan shops. Don’t leave without visiting Il Bello e Il Buono, a shop selling locally made olive oil, jams and mustards. 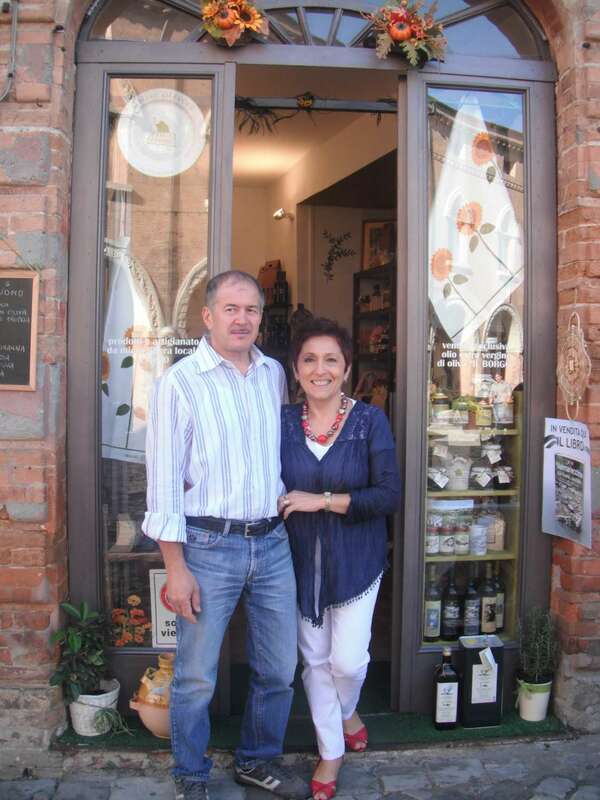 The owners, Mario and Maria Rosa are delightful and are only too happy to let you try some of their products. They produce their own extra virgin olive oil from olives grown on the slopes at the edge of the town, attributing the special flavour to the proximity to the sea and the quality of the soil on the slopes. No chemicals are added and the oil is produced entirely by hand. If you visit during the right time of year you can get involved with the production, helping to harvest the olives, and while you won’t be allowed to press the olives you will be able to watch. Also worth a visit is San Leo with its famous fortress. Standing imposingly on the edge of a cliff it was originally built in the Middle Ages but then enlarged in the 16th century by the great Siena military architect Francesco di Giorgio Martini under Duke Federico II da Montefeltro. 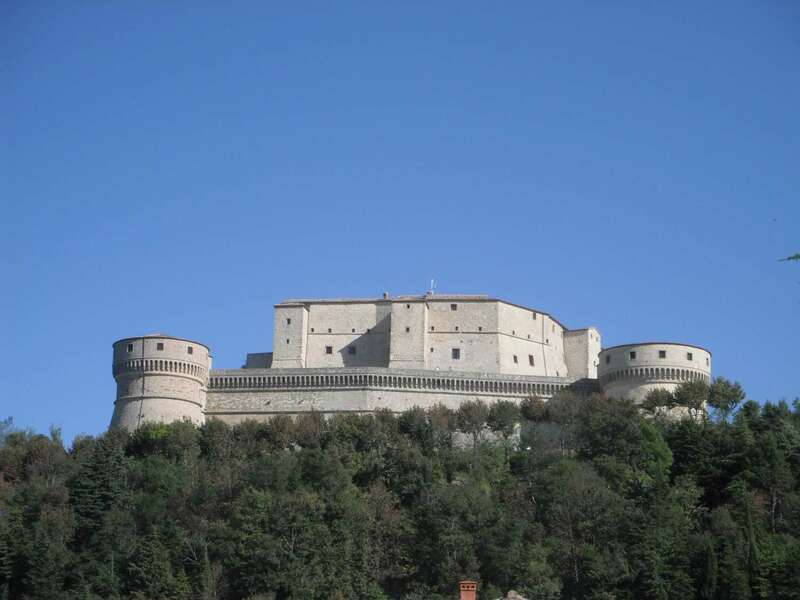 However, the fortress is probably best known for being the place where Giuseppe Balsamo, Count Cagliostro, lived out his final days of imprisonment. Somewhere between a healer and a sorcerer, a heretic and a freemason and a heretic, an alchemist and swindler, the true identity of Count Cagliostro is shrouded in mystery and his tale has inspired many artists and writers from Alexandre Dumas to Mozart. He was even implicated in the famous affair of the diamond necklace which is said to be at least partly to blame for the French Revolution. He lived out his final days in isolation in the fortress, in a small cell only accessed by a trap door in the roof. Today you can visit the cell, although a door has been added to make access easier, and in the corner are bunches of flower left by admirers of the Count. The village of San Leo itself is very picturesque and there is an excellent shop where you can try some locally made Fossa cheese. Not far from the bat cave, high on a hillside lies Tenuta del Carbognano, a wine farm, in one of the most idyllic locations you can imagine. The views stretched for miles over the rolling green hills and it was utterly peaceful other than a breeze rippling through the trees, a birdsong, or an occasional mew from one of the resident cats. There is a small self catering apartment for guests nest to the family home and the family really is utterly delightful – I felt so welcome I could happily have stayed there for months. At the right time of year guests can help harvest the grapes, but at any time you can try the wine, which trust me, is absolutely delicious. I also took part in a cooking lesson, learning to make piadina, a flat bread which is the regional speciality, being gently chastised by the stereotypical Italian grandmother every time I did something wrong. It was the kind of Italian experience you think only exists in books and films. No trip to Emilia Romagna would be complete without a visit to Italy’s most famous seaside resort – Rimini. With its miles of sandy beaches and charming old town which seems to just ooze history from between the worn cobblestones, there’s no shortage of things to see and do. But then that’s true of the whole region. Whether you’re a gourmand, a history buff, culture addict or sun seeker, from truffles to torture chambers, bats to beaches, Emilia Romagna will appeal to everyone. Ryanair flies direct to Rimini from London Stansted. Get fast track access through security (Stansted only) and relax before a flight in the No 1 Traveller Lounge (Gatwick, Stansted and Heathrow). The Stansted Express runs direct from London Liverpool Street to Stansted airport. Oste Del Castello is a traditional hotel in the centre of Verucchio. It also has a lovely wellness suite with many of the original stone walls retained. Room prices start from Euro 99. Carducci 76 is a modern luxury hotel in Cattolica, a seaside town not far from Rimini. Some rooms have sea views others look over the garden with it’s contemporary water feature. Rooms start from Euro 109. For the ultimate luxury take a room Federico Fellini’s favourite hotel The Grand Hotel close to the seafront. Every room is tastefully decorated with antiques. 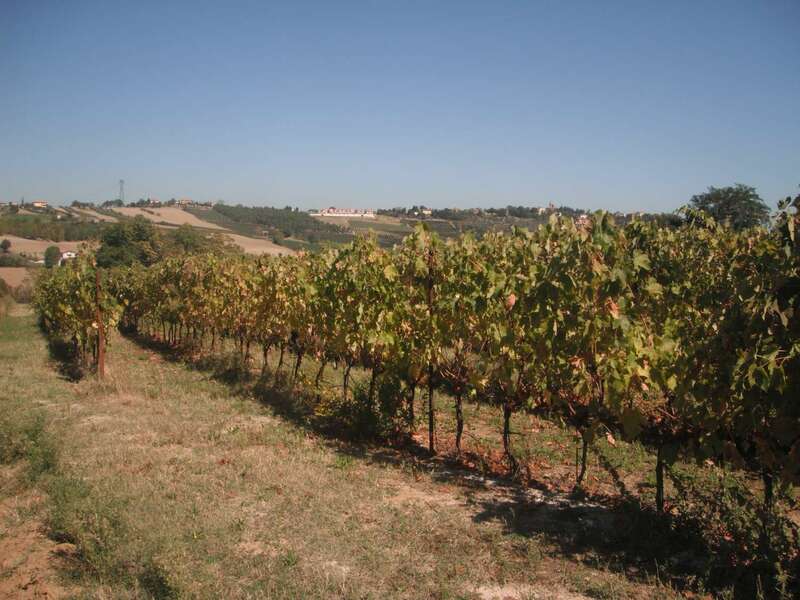 Enjoy the Italian countryside, pick grapes or learn to cook some traditional dishes at Tenuta del Carbognano wine farm. One of the region’s specialities is Piadina, a type of flatbread often eating with various filling. 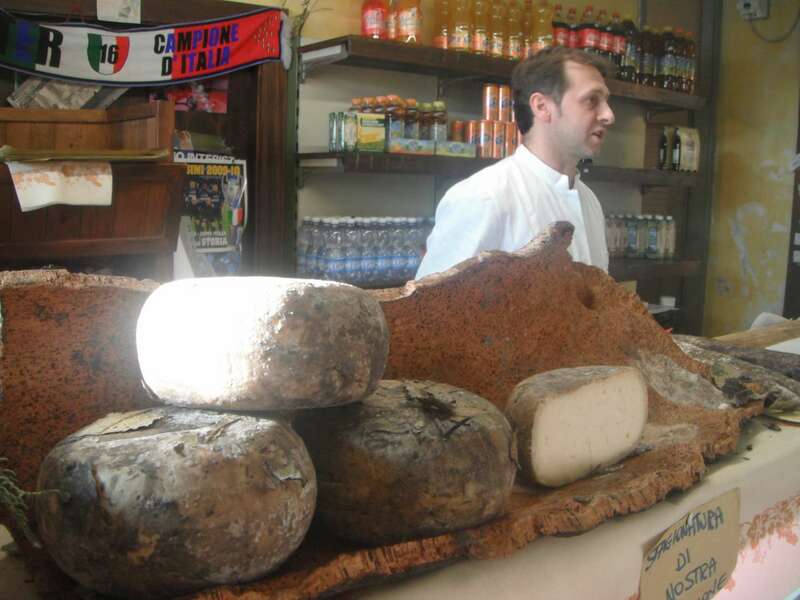 And one of the best places to try it is Nud e Crud in Rimini– which when translated isn’t nearly as rude as it sounds. Loosley translated it means raw and simple. Here you can feast on piadinas stuffed with fillings such as sausage, potato and cheese and tomato, as well as plates full of delicious Italian meats and cheeses. The restaurant prides itself on using locally sourced and seasonal ingredients. 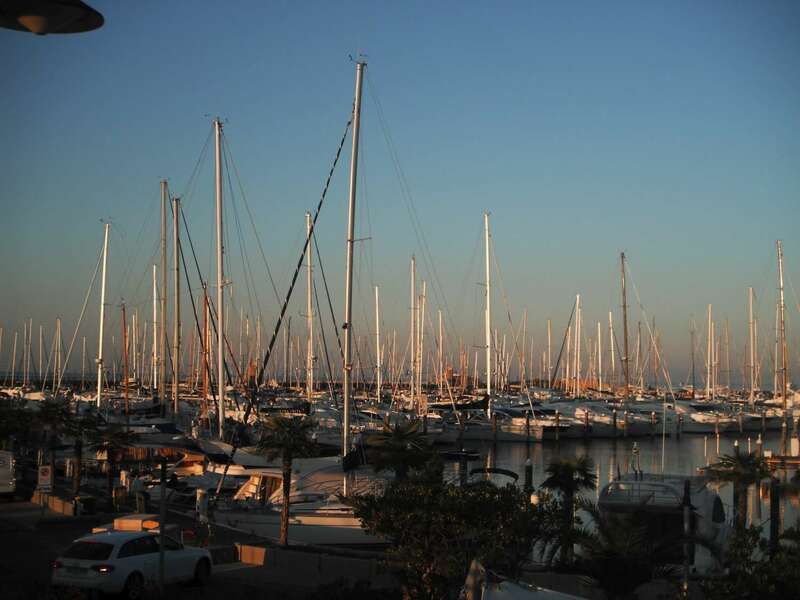 Nettuno bar and restaurant has an excellent location overlooking the sea in Rimini. Bag a seat on the outside terrace for the best views while enjoying a drink or tucking in to one of the restaurant’s seafood specialities. Ristorante La Rocca in Verucchio serves great traditional Italian food, from pasta to huge plates of meat, all washed down with excellent local red wine. If you visit in October don’t miss the National White Truffle Fair in Sant’Agata Feltria. 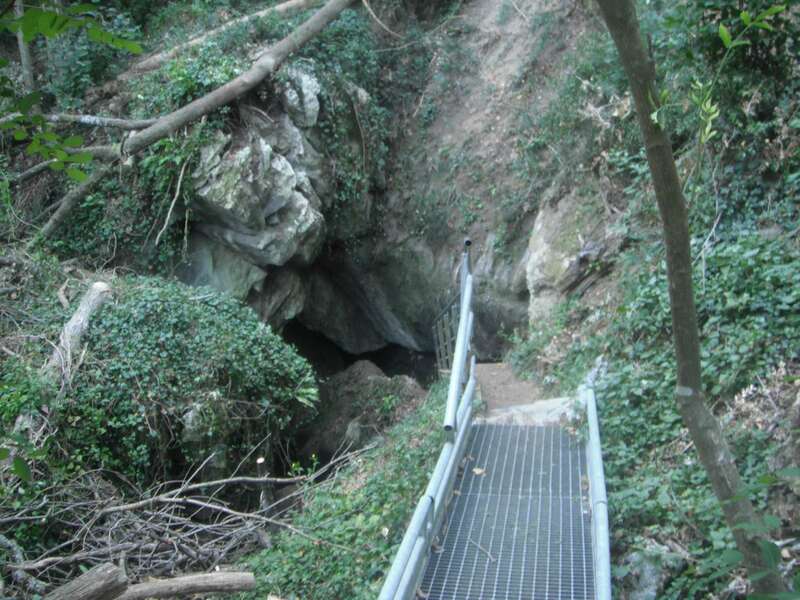 A visit to Europe’s largest bat cave in Onferno Natural Reserve shows you the underbelly of Emilia Romagna. 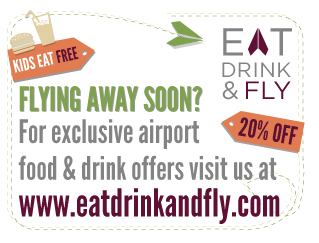 Spaces on the tours are limited though so make sure you book in advance.